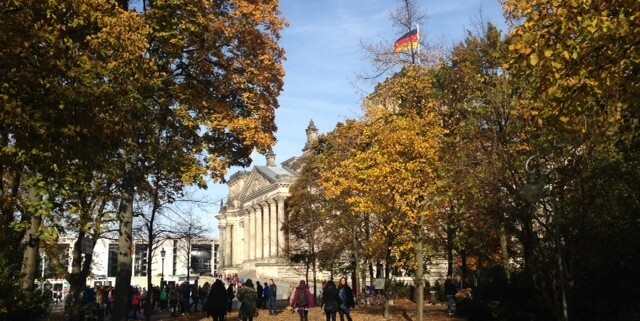 Walking through the red and orange leafed trees we laugh and smile as we pose for photographs. Some of us take pictures with giant leaves and others pretend to jump into a pile. The sky is as blue as it can possibly be as the sun shines through the branches of the towering trees. With phones ready in our hands, we wait our turns to take photos of the beautiful scenery surrounding us. 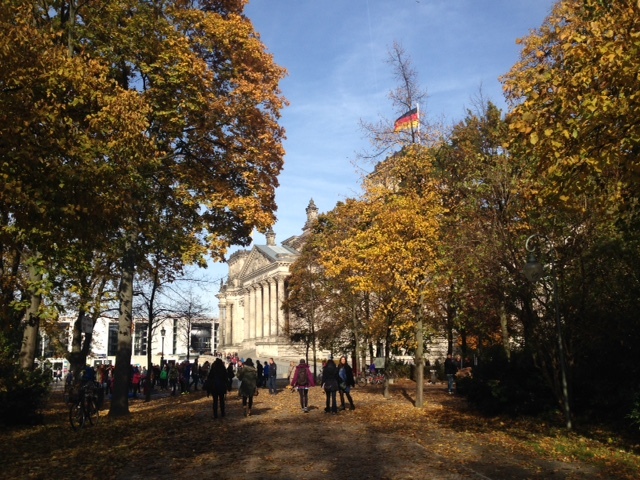 We want to be able to look back and remember the nice walk we took through the city of Berlin. Photographs are tools that we use in order to preserve memories forever. Today, cameras are part of our every day lives and we use them so often to capture moments that we don’t think twice about what we are actually doing. When in fact, we are using these cameras to make up for the lack of memory conservation our brains provide us with. Although the most common form, photographs aren’t the only ways we contain events. Monuments are forms of bringing memories to life and into the third dimension. Through the use of monuments, we freeze specific events or people for the act of remembrance whether it is in positive or negative light. 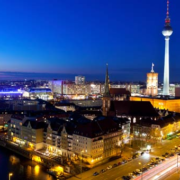 Of all the cities we have visited throughout our time in Central Europe, Berlin is the one that has had the most visible monuments through out the city. It makes a stark contrast when compared to the city we started in, Vilnius. 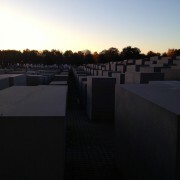 The monuments in Berlin are out in the open and accessible for people to walk up and see without having to pay. They range from physical sculptures to plaques to street signs. 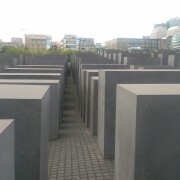 My favorite monument collection has to be the Places of Remembrance Memorial in which signs of Anti-Jewish laws are spread throughout what used to be the Jewish District of Berlin. These signs were two sided with a picture on side and text on the other. 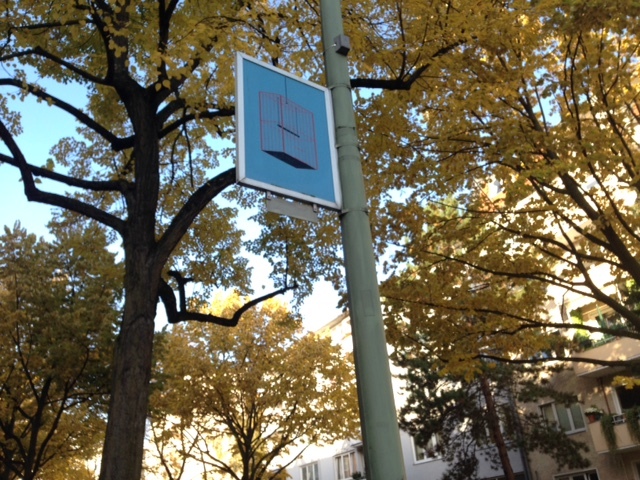 The picture represented one of the many Anti-Semitic laws throughout Berlin during the Nazi Germany era. And on the other side was the law relevant to the picture. These signs were all over the district and there were even multiple on just one side of the street. The laws ranged from “Jews are not allowed out after 9pm” to “Jews cannot be part of the chess society”. Not only did these signs present laws, but some told stories. The most heart-wrenching story for me was on one sign that had an empty birdcage. It read, “We had a canary. When we received the notice that Jews are forbidden from keeping pets, my husband found it impossible to part from the animal. Every sunny day, he put the birdcage out on the windowsill. Perhaps someone reported him, because one day, he was summoned to the Gestapo. After living in fear for many weeks, the police sent a postcard stating that I must pay a fee of 3 Reichs marks to pick up my husbands ashes”. 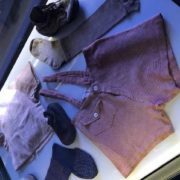 The importance behind highlighting these tragedies is that it demonstrates how even the smallest every day activities were impacted by the Holocaust. The fact that an innocent man was murdered over owning a pet bird exemplifies the horror that the victims of the Holocaust went through even before being put in camps. Remembering these laws is a way to remember the lives that were lost and to make sure history doesn’t repeat itself. 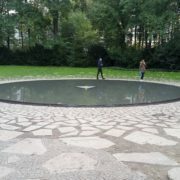 Another one of the monuments, which I thought was sadly unique, is the monument honoring the Roma and Sinti memorial. 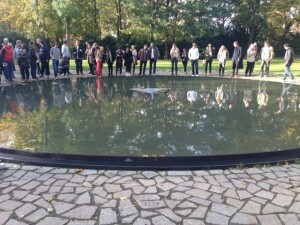 It had a beautiful reflecting pool with a poem inscribed around the rim of it and shattered stones all around the pool with the names of the different locations of their deaths. 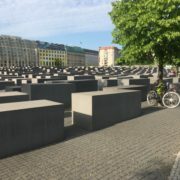 The reason for it being sadly unique is for the simple fact that of all the cities we’ve been to it is the only place of remembrance that we have seen dedicated to these minorities that were also deeply affected by the events of World War II. The Roma people were also affected yet they are never mentioned and if they are, it is usually found on a small blurb at a museum. All the memorials and monuments throughout Berlin bring the following question into the spotlight. 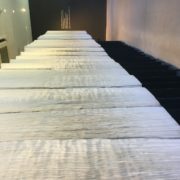 Why are other places like Vilnius hiding dark pieces of their pasts, while Berlin is acknowledging their awful past as the major perpetrators of the crimes? What is it that makes it so that other places want to hide memories instead of being truthful about the history? Why do they choose to continue to ignore and bury memories? Memorializing the negative memories is not something that would add salt to a wound. But rather, it would help it heal. Recognizing mistakes and honoring the lives that were lost is a step forward in coming to terms with past error. Memorials shedding light on a country’s crimes would serve as a forget-me-not. Forget-me-not flowers were used during World War II to honor the victims of the Nazi regime. (Wikipedia). Building monuments would be a simple way to recognize fault and at the same time frame the remembrance in an elegant way, like forget-me-not flowers. The lost lives asked to never be forgotten. To forget the atrocious crimes would be to walk all over a budding forget-me-not patch.